The first to receive the new-generation weapons will be the country’s Navy, while similar tech is also being lined up to bolster defense systems. Russia is one step ahead of the rest of the world when it comes to a particular weapon: The hypersonic missile. This devastating prototype projectile can hurtle towards its target at 2.5 km/s (eight times faster than the speed of sound) - now that’s fast! “Basically, these missiles, which are equipped with the most powerful warheads, will give Russia a new instrument of deterrence, just like nuclear weapons are today,” says Dmitri Safonov, former military analyst at the Izvestia newspaper. The first hypersonic weapon is coined the “Tsirkon” anti-ship missile. The Defense Ministry successfully tested it in secret last year but is yet to release any photos or footage. “Currently, it’s only known that the first version of the ‘Tsirkon’ will be able to strike a target up to 500 km away. The developers are faced with the ambitious challenge of upgrading the weapon so it can travel at speeds of 3.5 km/s,” noted Safonov. Try running away from that! 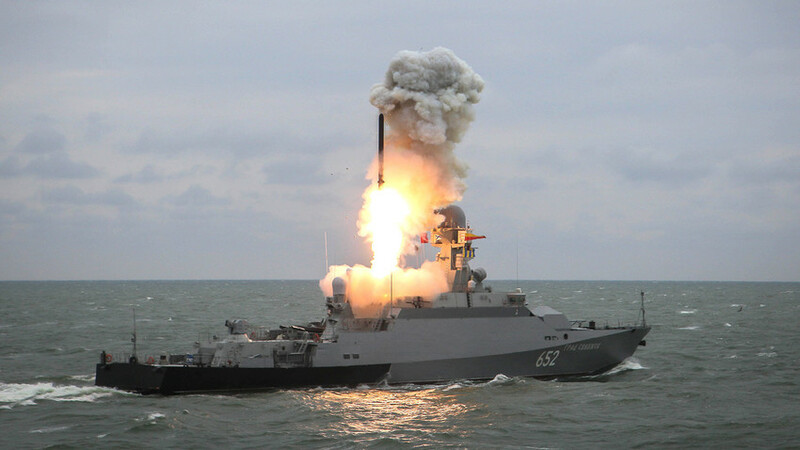 However, it’s still not known which of Russia’s ships will receive the new-generation missiles although experts believe that heavy nuclear missile cruisers will be modernized to meet the standards of the new weapons. “The first ship on this list may be ‘Peter the Great,’ the flagship of the Russian navy,” added Safonov. No country is armed with hypersonic missiles. Therefore, the “Tsirkon” is likely to be the first weapons able to evade any air defense system in the world. For example, the reaction time of the American “Aegis” air defense system is eight seconds. By this time Russia’s hypersonic missile will be long gone - in fact it will have probably destroyed its target. Moscow is also working on incorporating the missile into its own air defense systems, in case other countries develop similar technology, so the Almaz Antei Corporation is set to integrate hypersonic tech with the new S-500 “Prometei” air defense system. Also, in the words of the corporation’s general constructor Pavel Sozinov, the company is striving to create a missile that can reach altitudes of 100 km, not far from space. “We have made calculations about the development of resources for an air-space attack for the next 25 years. Our system must know how to combat those weapons that today don’t yet exist, but can appear. This deals with being able to intercept weapons in non-dense layers of atmosphere, including in the higher layers of atmosphere, hundreds of kilometers from the Earth,” Sozinov explained. Currently, the S-500 is being tested - if greenlighted it will even be able to take out targets orbiting our planet. It will also be able to recognize and destroy up to ten targets simultaneously traveling at hypersonic speeds. The weapon producers are preparing to present the first S-500 systems by 2020.